Breathing Through: a workshop series coming this October 2017! Join me this fall for Breathing Through: Traditional meditation techniques applied to a modern life. 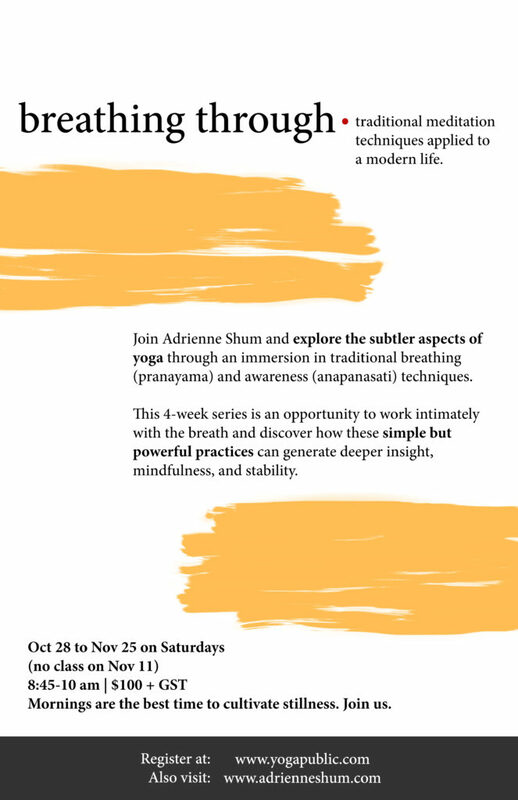 In this four-week workshop series, we will explore the subtler aspects of yoga through an immersion in traditional breathing (pranayama) and awareness (anapanasati) techniques. Take the opportunity to work intimately with the breath and discover how these practices can expose another layer of insight found on both the yoga mat and the meditation cushion. In addition to guidance and practice of the techniques, each session will include a short talk on yoga philosophy and time for questions. 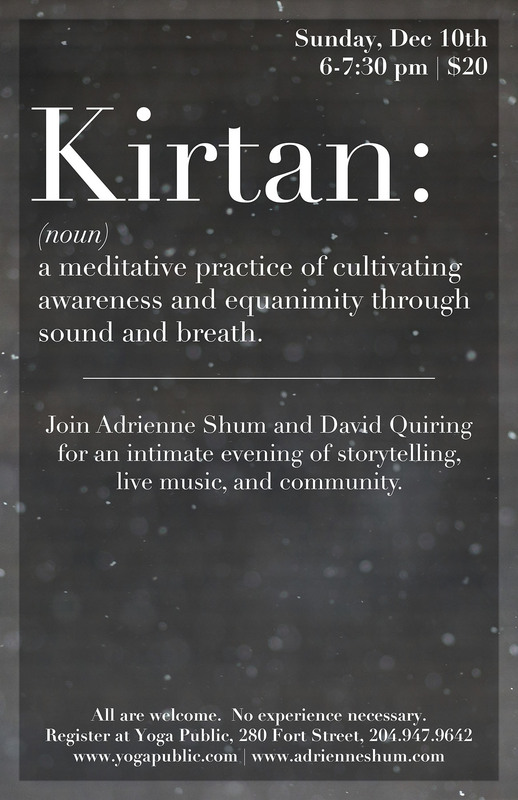 After completing this workshop series, you will have the tools to cultivate your own breathing/meditation practice, so as to continue your exploration of how these simple but effective techniques can flourish in your everyday life. Practising in the stillness and tranquility of the morning is the ideal time for cultivating mindfulness, stability and a deeper capacity for compassion. Join me in exploring this path towards the heart of yoga.